Nothing makes a child happier than to receive his or her own tennis racquet. 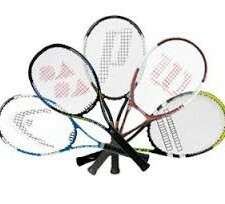 This piece of equipment allows the child to feel a connection to the sport of tennis and more importantly practice outside lesson times. 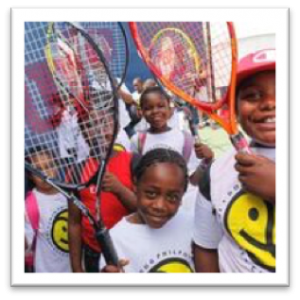 Summer 2015 we were able to distribute over 500 new and gently used tennis racquets to the Philpott campers. 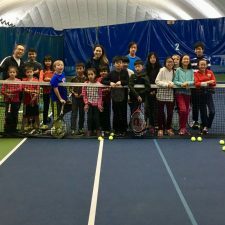 These children were thrilled but there are hundreds, actually thousands of children in the Philpott program who could benefit from the gift of a tennis racquet. 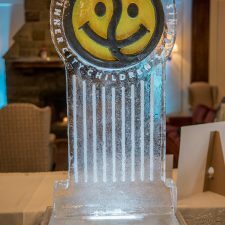 While we are very grateful for the equipment we receive from Head and Wilson, this equipment is used during the lessons and needs to stay with the Philpott program. We are always in need of additional racquets we can give to the children that they can keep and continue to practice after the lessons are over. Acquiring gently used tennis racquets for the Philpott Fund so that they can be distributed to the children from priority needs neighbourhoods participating in the Philpott summer tennis camps. During the month of May, we are asking for new and gently used racquets, and most especially junior racquets, to be collected and donated to our Philpott children. We will provide your club with a poster and pamphlet describing the Racquet Donation Program and a donation box, if you feel that a box is required at your club. An “ambassador” we can explain the program to & who will coordinate things on your end. A secure location where the collection box can be placed or a location where your members know they can leave their donated racquets. Wall space where a poster explaining the program can be hung. For more information or to participate contact [email protected]. Head Tennis Professional at the Boulevard Club Paul Cairns, Philpott Board Chair Coulter Wright, Executive Director Ceciley Parker, Summer Supervisors Armin Milani and Chris Steward, Instructors Shep Zambonelli and Tenzin Kunkhen celebrate the donation of 100 new tennis racquets for the Philpott campers at the Parkdale site.